Apple has allegedly hired a number of experts in the field non-intrusive medical sensors, ranging from vein mapping to glucose tracking, potentially revealing some of the company's interests in developing a wrist-worn smart accessory. 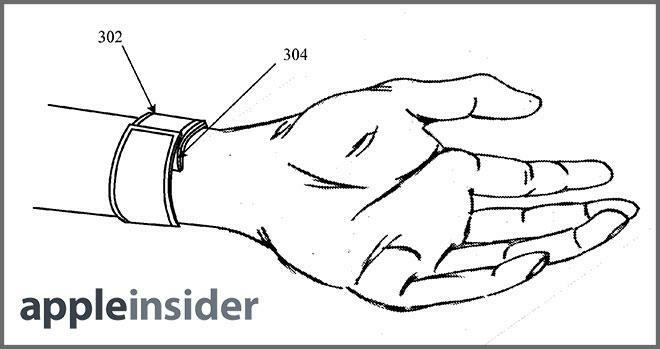 AppleInsider was first to discover an Apple patent filing describing a watch design with flexible display. Apple is rumored to have hired employees from companies such as AccuVein, C8 MediSensors, and Senseonics, a report published Thursday by 9to5Mac claims. Specifically, it was said that after the company C8 MediSensors went out of business, Apple "moved aggressively" to hire former directors and engineers from the company. Prior to its closure, C8 MediSensors specialized in non-invasive sensors that could track substances inside the body, such as glucose levels. The alleged hires align with what well-connected analyst Ming-Chi Kuo of KGI Securities indicated earlier this year about Apple's rumored "iWatch." According to Kuo, Apple's wrist-worn accessory will not be positioned as a time-telling device, but it will instead focus on offering secure user identification and advanced biometrics functionality. With biometrics, an iWatch could better safeguard an owner from unwanted user access, while also providing advanced healthcare features. Current wrist-worn fitness trackers, such as the Nike FuelBand, already offer similar functionality with heart rate monitoring. Cook himself has admitted to being a user of the FuelBand, and praised the device in an interview at the D11 conference in May. He also panned Google's head-worn Glass accessory, and suggested that the wrist might be a more interesting place for the future of wearable electronics. "The whole sensor field is going to explode," Cook said. "It's a little all over the place right now. With the arc of time it will become clearer." On the fitness front, Thursday's report also noted "unconfirmed whispers" that claim Apple has hired fitness consultant Jay Blahnik. He was previously a consultant on Nike's FuelBand and Kinect Training projects. 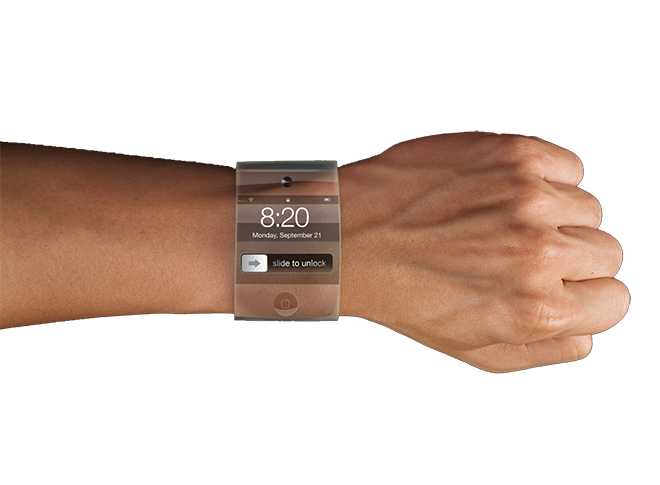 Beyond its expected integrated sensors, Apple's so-called "iWatch" is expected to be controlled by users with a small multi-touch display, not unlike the now-discontinued clip-on iPod nano model Apple offered years ago. It's alleged that Apple has put together a hardware and software "dream team" to pull the project together. The company has even gone as far as to begin filing for ownership of "iWatch" trademarks in countries around the world  a rare move for Apple, which is known for intense secrecy surrounding its internal projects. In recent months, virtually every major player in the technology industry has been rumored to be working on their own smart watch. Products from Microsoft, Google, Samsung, and LG are said to be in the works, in addition to Sony's recently announced Sony SmartWatch 2, and currently-available options like the Pebble, MetaWatch, and I'm Watch.